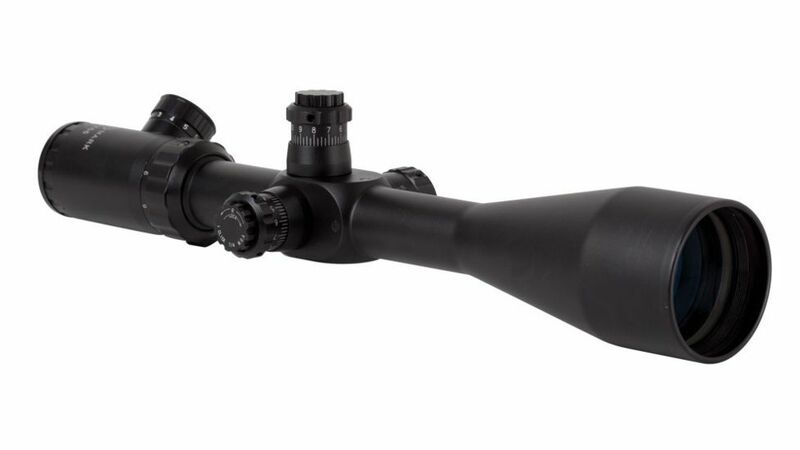 The Sightmark Ezekiel 3-30x56 Riflescope w/ Mil-Dot Reticle offers exceptional clarity for target sighting. This riflescope manufactured by the experts at SightMark features advanced precision multi-coated optics and a 56mm objective lens. The Sightmark Ezekiel 3-30x56 Shockproof Riflescope employs a 10x optical zoom in a commercially viable system, providing both long and short distance target acquisition. Engineered for precision accuracy, the Sightmark rifle scope is equipped with a second focal plane Mil-Dot reticle, a side parallax adjustment and a 1/4-inch click MOA adjustment to ensure accurate shot zeroing and cartridge placement. No matter the environment or condition, the Sightmark Ezekiel 3-30x56 Waterproof & Fogproof Riflescope includes a locking turret system that maintains user adjustments so the unit is set and ready to go for every shot. MOA adjustment (one click): 1/4"